Football and Pakistan don’t usually go together, especially Islamabad and football. However, despite Islamabad’s unwanted perception of going to sleep early, the capital is home to a thriving football scene and an ever-growing entrepreneurial ecosystem of football facilities. Though the concept had been introduced a decade ago with the advent of the F-6 multi-purpose facility, things really took off after 2014 when Total Football ventured into the market. “I was enamoured by the concept during my days as a student in London,” said Hamza Kayani, who launched Total Football in late 2014. Born and bred in Islamabad, Kayani claimed that the city lacked in the entertainment department, leaving eating out or going for a hike as the only available options. However, in London, football was both entertainment and exercise, and it was common practice to see 18-year-olds and 40-year-olds playing on the same pitch. With Total Football’s professionalism and publicity making airwaves, many others have quickly delved into the market, importing AstroTurf pitches from countries such as China, Australia and Vietnam. 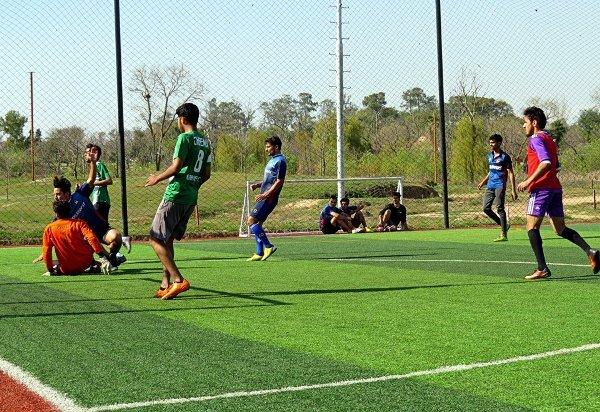 “Since we got our turf imported from China, the bookings at our facility [which is located inside the Islamabad College of Arts and Science (ICAS)] have skyrocketed along with a massive improvement in the playing experience. We used to have a natural pitch earlier, but maintenance was always a problem,” claimed Asif Malik, the owner of the ICAS facility in G-11. 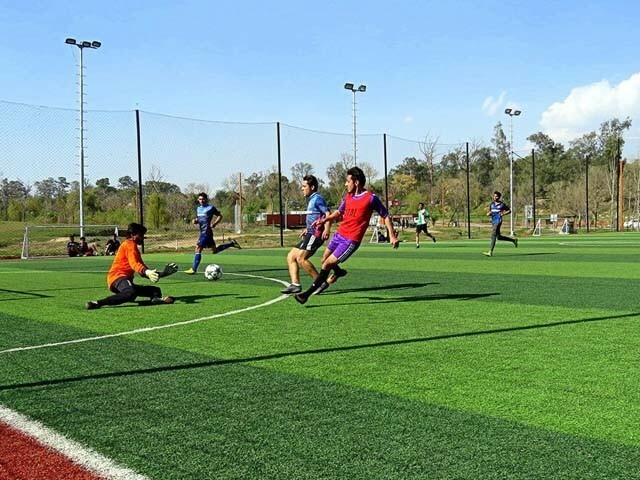 Budding players have also found the influx of these facilities useful, leading to the development of a strong amateur football circuit in Islamabad that boasts players of all socioeconomic backgrounds competing for bragging rights. 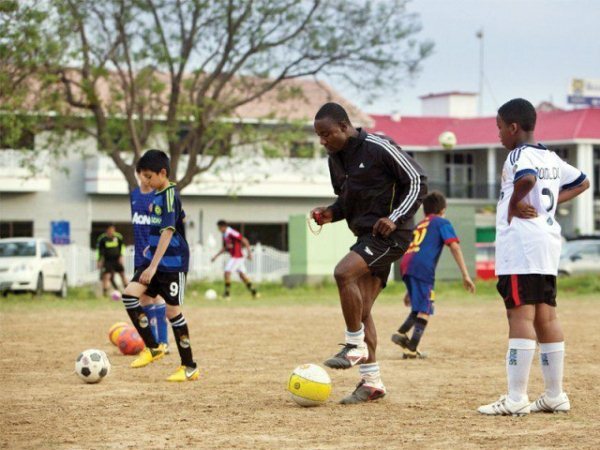 One such team is NWA Football Club that primarily comprises of students from various institutions, who religiously take time out every week to play and benefit from the facilities offered to satiate their hunger for football. “The modernisation and improvement of football in Islamabad has given a chance to many youngsters to unveil their true potential, including me. Islamabad, with these new professional football facilities and AstroTurf pitches, has revolutionised the way we play here. More amateur clubs have surfaced with the development of these facilities,” revealed NWA Football Club captain Hammad Sohail. 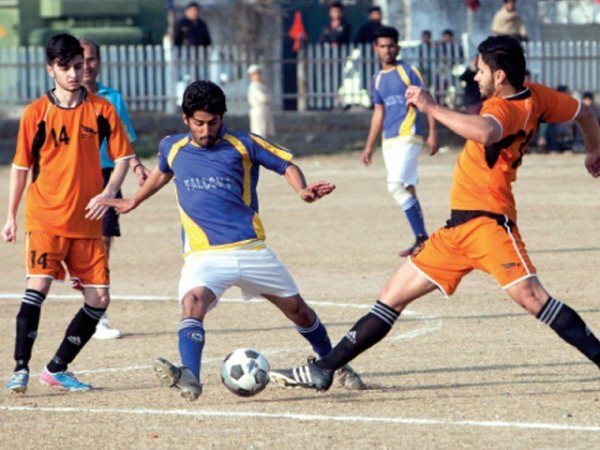 The impact of widely televised football spectacles such as the English Premier League (EPL), the Union of European Football Associations Champions League (UEFA) and the Spanish La Liga combined with the presence of high end facilities has resulted in football becoming the most popular sport in Islamabad. With the masses playing and watching the game, a substantial demand has been created for brands such as Leisure Leagues. According to Ali Ahsan, chief editor of Pakistan’s only digital platform for Pakistani Football, FootballPakistan, the amateur setup still needs attention from local stakeholders like the professional team, Khan Research Laboratories, to help transform raw talent into more tangible products. “Attention from teams in the Pakistan Premier League (PPL) could help local talent venture into professional football and teams themselves could use the facilities for training purposes,” added Ahsan. It’s high time we look into a more diverse range of sports, other than just cricket. It’s imperative that our governing bodies, especially the ministry of sport, looks into the establishment of facilities for other sports, such as football, tennis, squash and hockey. Our youth has immense talent, all they are waiting for is a platform to showcase their skills.